Disclosure-Thanks to Schlitterbahn South Padre Island Beach Resort for hosting my family and other bloggers for 2 nites/2 meals. All opinions expressed are based on my personal experience and as always are my honest opinions. My family and I had a wonderful experience this past weekend. 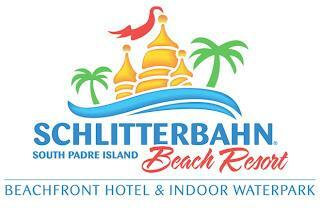 We have visited Schlitterbahn parks before and have always had a wonderful experience but this resort takes the cake. We actually felt like we had left Texas. I know South Padre is an Island but in Texas. We felt like we were in Cozumel or somewhere tropical. The weather was wonderful, remember we are in May. The weather has been crazy - one day cold and one day hot, or even both on the same day. But you don't have to worry about that when you go to Schlitterbahn as they are an indoor waterpark. The part I really enjoyed was learning the history behind this new beach resort and waterpark. Do you remember the Bastrop fires that burned for days on end? I do. We pray hard, and pray hard, and pray hard until finally the fires were controlled. In 2011 over 32,000 acres were destroyed in the Bastrop fire. The resort was been built using logs from the fire - logs saved from the chipper and instead turned into everything from sculpture to tables, from outside walls to night stands and cabinets. In August of 2012 the park did a soft opening of the brand new 221 room resort on the beach. The resort is combined with an indoor waterpark featuring 9 different rides/attractions including a wave river, two five story tall water slides and a pirate themed kids area. It's an amazing example of sustainable building practices. Frankly the entire resort is a testament to Texas style recycling - over 3 miles of 3 inch mooring ropes of dozens of ships are painstakingly wrapped around giant concrete structural poles on the new upstairs 10,000 square foot patio, for example. The retractable greenhouse roof that covers the indoor waterpark is from an old Schultz nursery. Even the check in counter is from salvaged walnut trees pulled from a road project in Kansas. But it's the Loblolly pines that have the most dramatic effect, especially to those who know the story of the fire. Everywhere you look, you will see items that have been repurposed around the park. The wood, the craftmanship, and the design are so beautiful to the naked eye. If you DIY, you will love all the cool wood pieces all over the resort. Reasons why you should visit: 1) You can bring your own food, and water. You can even bbq. They have bbq pits and cabanas. 4) Beach. Room with a view. Those are some amazing pics and I want to go and try the BoogieBahn Surf Ride ...how fun! I love the furniture! Looks like a fun place with lots to do! Sandy-I will be posting a video of my experience...coming soon. Janet & Patricia-it was so much fun!